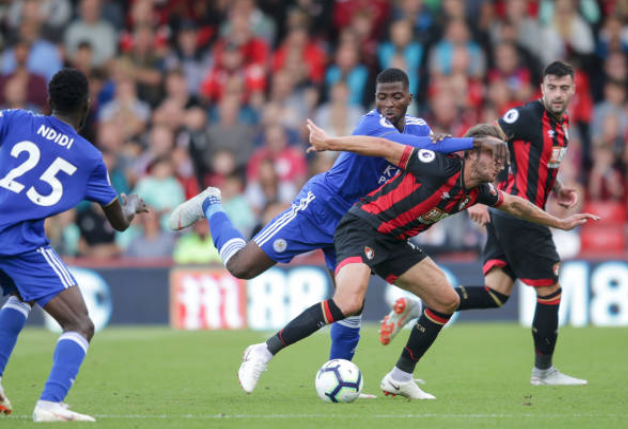 Wilfred Ndidi couldn’t halt Leicester City bashing and Kelechi Iheanacho failed to do enough to help the Foxes save face as they were pounded 4-2 by Bournemouth in Saturday’s premier League game. Ndidi started in the heart of the Leicester midfielder, but the visitors were already trailing 3-0 after 41 minutes. 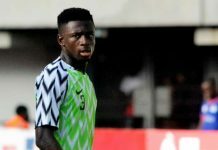 Iheanacho was called from the bench for some magic to help reduce the deficit; even he needed inspiration from his teammates, but none was forthcoming. His 89th minute assist for Mark Albrighton, who scored from a header, was a little to late for the needed resurgence as they’ve now suffered back to back defeats.